In October 2007 Ray Gravell, a man who for many embodied what it is to be Welsh, passed away after succumbing to complications resulting from contracting diabetes. He was 56 years old. Known to millions for his legendary exploits on the rugby field, ‘Grav’ was and is so much more than that. An actor, a cultural icon, a father, a husband, a man with a life packed full of stories that deserve to be heard once more. 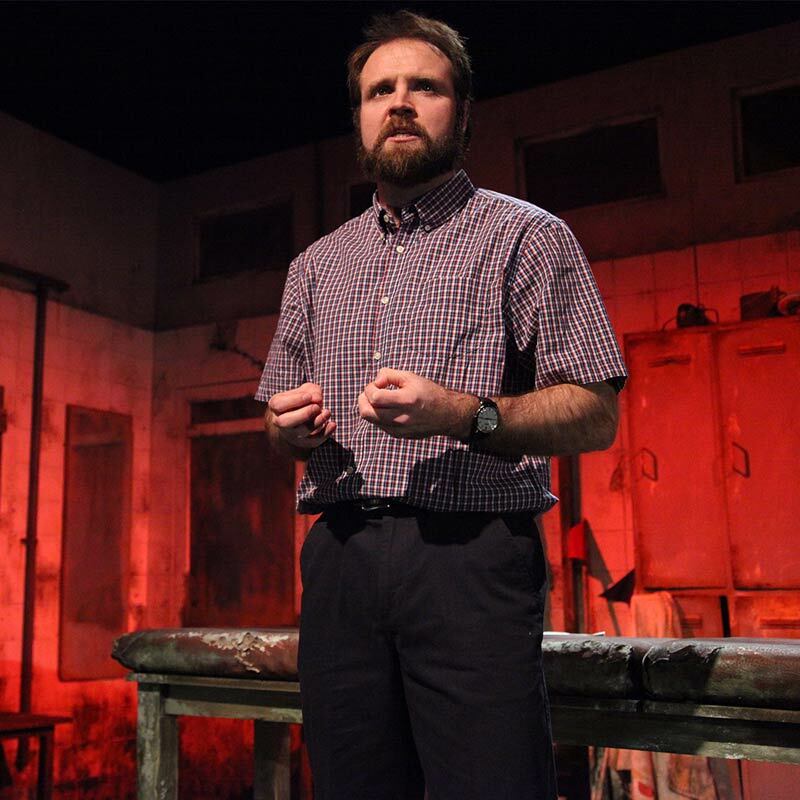 Gareth J Bale reprises the role of ‘Grav’ in this remarkable one-man show exploring the life and times of one of Wales’ most loved sons, Ray Gravell, written by Owen Thomas. 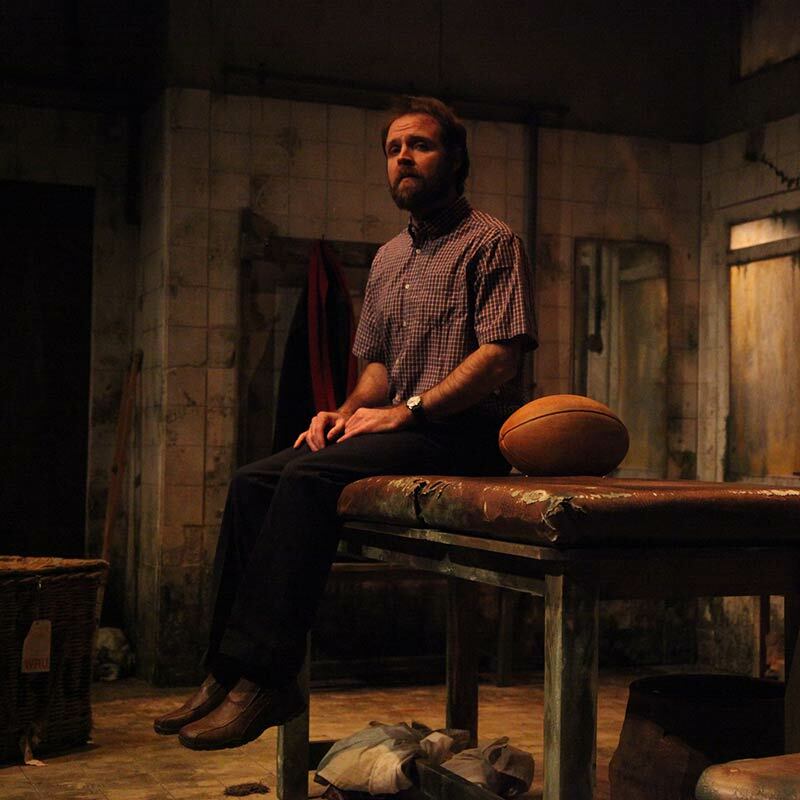 With the blessing of Mari, Ray’s widow, and contributions from his Welsh and British Lions team mates, this one-man show will explore the life of a man who was as fascinating away from the rugby field as he was on it. 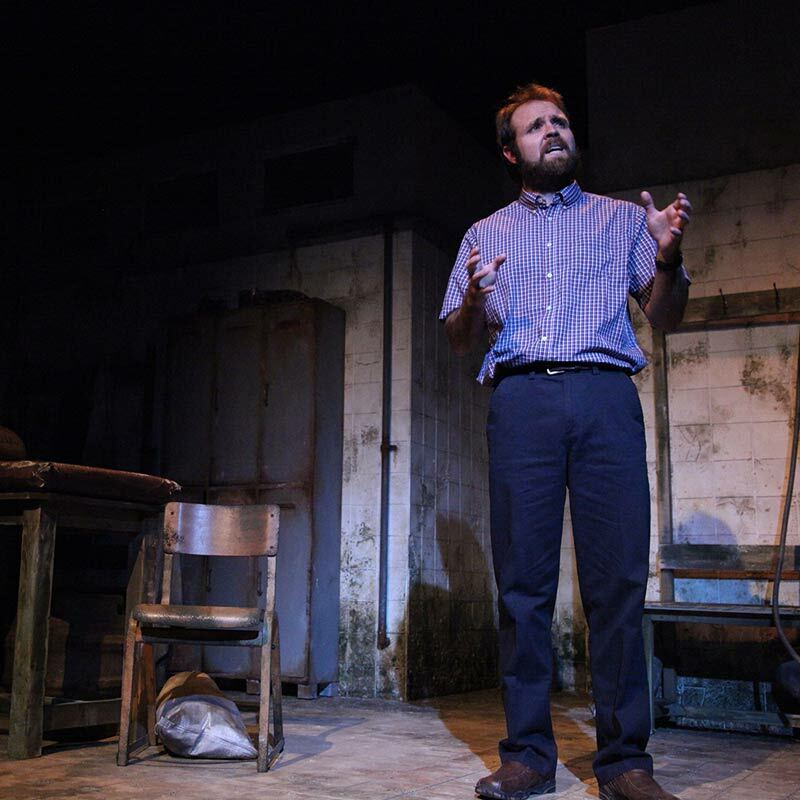 Directed by the Torch Theatre’s Artistic Director Peter Doran, ‘Grav’ will remind the you once more of a unique life well lived and of a man who did so much more than eat soft centres. Raymond ‘Ray’ William Robert Gravell was a Welsh rugby union centre who played club rugby for Llanelli RFC. At international level, he earned 23 caps for Wales and was selected for the 1980 British Lions tour to South Africa. Ray later became a well-respected English and Welsh language broadcaster and actor. During his film career, Ray starred alongside Peter O’Toole in one of his most notable performances in ‘Rebecca’s Daughters’, a comedy film directed by Karl Francis, based on a story by Welsh poet Dylan Thomas. Ray was also an active supporter of the Welsh National Eisteddfod and held the ceremonial position of Grand Sword Bearer. Ray’s passing in 2007 marked exactly 35 years to the day after the Scarlets won their famous win over New Zealand. His death was mourned by people throughout Wales and beyond, but his legacy lives on through his family and through the Ray Gravell Charitable Trust. The Welsh academic and historian Hywel Teifi Edwards wrote, ‘Stories will be told about him with gusto in years to come by people who never met him, and I’m quite convinced that stories were fashioned with Grav in mind centuries ago’. “He displayed great courage and equally great resilience on the rugby field and he showed those exceptional qualities off the field in recent months following his illness” – Gerald Davies, Former British & Irish Lion and WRU Director. As a rugby player, Ray forever showed a huge degree of respect towards his opponents but never stepped back against anyone on the field of play. 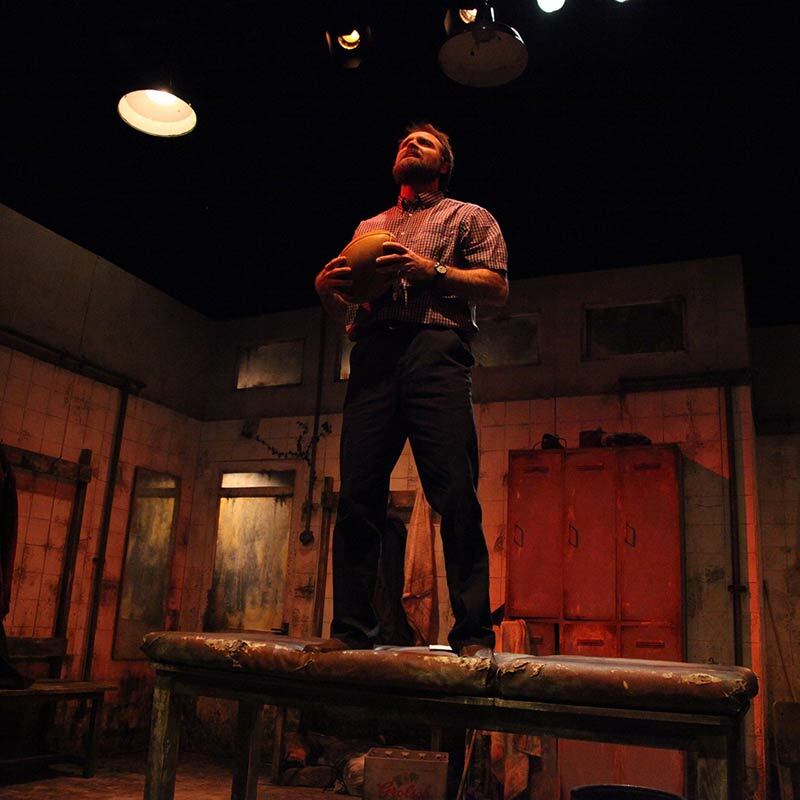 Grav is a one man show starring Gareth J Bale that pays tribute to one of Wales’ most loved sons, Ray Gravell. 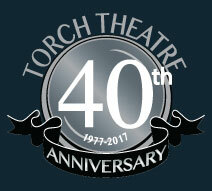 After meeting Gareth back in 2011, the Torch Theatre’s Artistic Director, Peter Doran offered his full support in producing and directing this show. Since then, they haven’t looked back. and, in 2018 played in both New York and Washington DC. The show has now been seen by thousands, including a number of Ray’s team mates and rugby legends: Sir Gareth Edwards, Phil Bennett, Delme Thomas, Gareth Jenkins, Scott Hastings, Jim Renwick, Rupert Moon, all of whom have given their seal of approval. Grav has the full blessing of Ray’s wife Mari and his daughters Manon and Gwenan, who travelled with the team to see the show in New York.